If your landscaping includes hardscape paths made of paving stone, tile, brick or brick-like pieces of concrete it’s clear that you are serious about your outdoor landscaping design and materials. 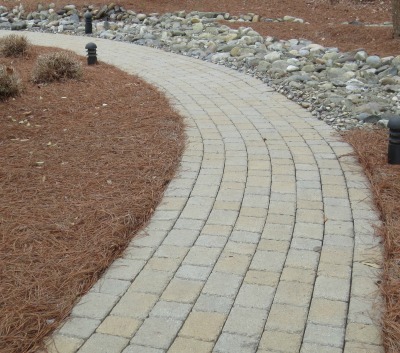 It means you appreciate the quality, beauty, and function these outdoor paths, walls, and pavers add to your home. Naturally, you want to ensure that the continual care of these features is handled with the same attention and dedication as when they were installed because they are an substantial investment. At Renew Crew of Castle Rock, that’s exactly what we do: clean, protect, and restore color to your hardscape so you and your guests will enjoy your home’s exterior spaces for years to come. Colorado weather is harsh. Snow, rain, hail, dust, and sand work to beat down our surfaces year after year. Though your hardscape is built to last, the elements here are fairly constant and soon remove the shine off of your pavers and other hardscape features. Careful, regular professional cleaning can help keep your hardscape looking new. Our patented solution also protects the surface from cracks, erosion, and other damage that can and does grow over time, especially in Colorado. Just look at our roads! Attempting to clean your hardscape on your own with DIY methods and over-the-counter products often causes more harm than good. 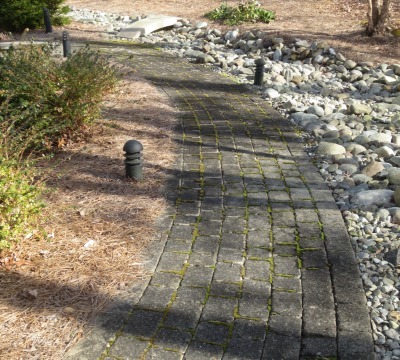 At the very least, your efforts may be ineffective, and at the worst, you may use dangerous chemicals or pressure settings that damage your hardscape. 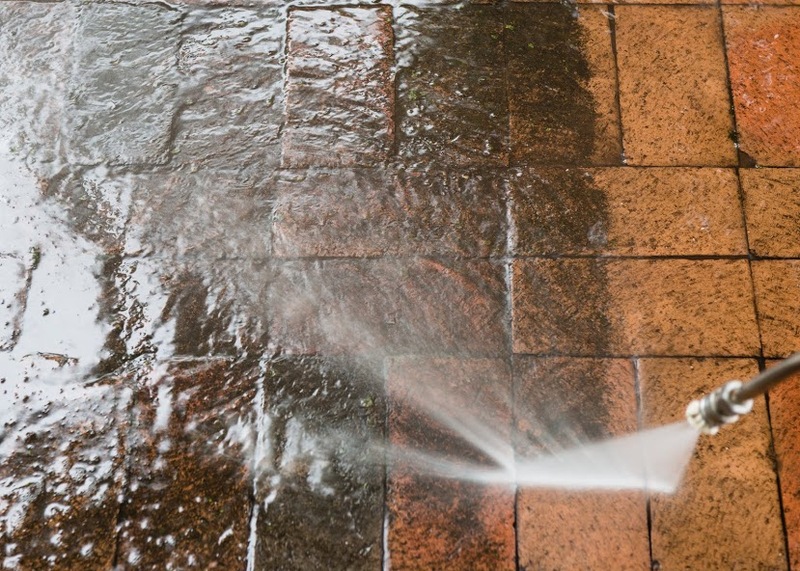 Let our experienced technicians clean the hard-to-scrub pores of your brick or concrete. Pre-soak – First, we pre-soak your brick or concrete with our environmentally-friendly cleaning foam for a non-abrasive, deep-down clean. This step brings the dirt and grime to the surface of your hardscape. Power clean – Second, we carefully apply a pressure rinse that removes grime and dirt, but doesn’t harm your surfaces. Protective finish – Third, we use special polymers to extend the life of your hardscape and pavers and offer protection against the harsh Colorado elements, at no additional cost! In addition to our our cleaning and protection services, we also provide Castle Rock homeowners with the option to tint or stain your brick or concrete. The harsh Colorado sun can fade your outdoor surfaces, leaving them worn-looking. Let us restore your paths to their original color or choose another color that better suits your overall home design. We can even give your concrete a marbled look! Call us today for more information about our tinting services. See the difference and learn why we are the best choice for your hardscape and paver cleaning. Contact Renew Crew of Castle Rock at 720-903-2549 for a cleaning solution that protects your investment.